The NFL Draft is already on people’s minds, more so those of teams that stink this season like the 49’ers and Browns. Here’s the latest draft order if the season ended today, and as usual the Browns and 49’ers are at the top of the list. 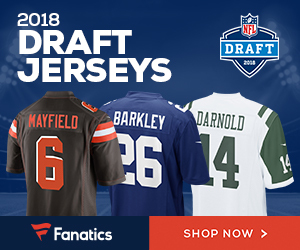 Be the first to comment on "Updated Order for the 2018 NFL Draft"